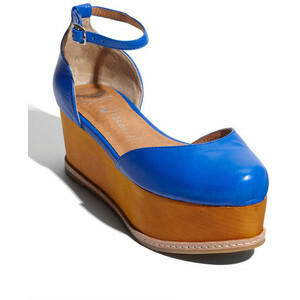 Give any outfit a 1970s vibe and lots of height with these vibrant Jeffrey Campbell sandals, available at Nordstrom. 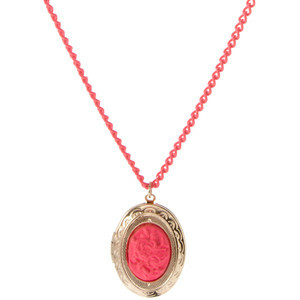 This neon necklace in an eye-popping shade of fuchsia really caught our attention. Available from Asos.com. Prepare to get noticed when you step out in these futuristic wedge pumps from Solestruck.com. 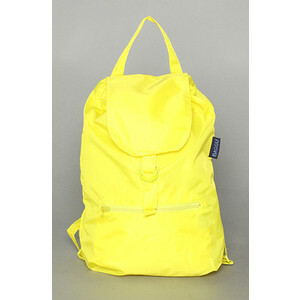 Go back to school in style with this bold neon yellow backpack from Karmaloop.com. Inject your shoe collection with a serious dose of color with these bright orange Marni ballerina flats. This cute ring from Mod Cloth packs a powerful punch when paired with all things neutral. 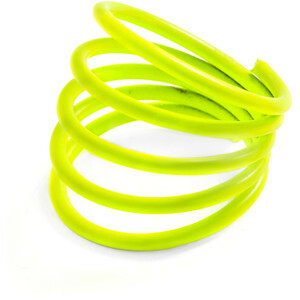 Spice up your next outfit with a pair of fluorescent Tarina Tarantino drop earrings. Kick your casual wear up a few notches with sassy sneakers in get-noticed shades of neon. Available at Urban Outfitters. 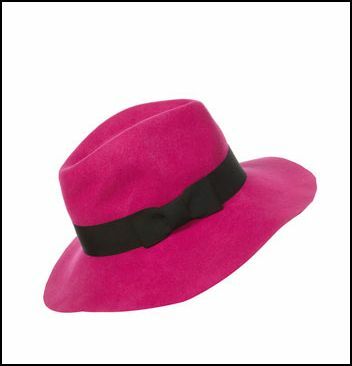 Hide a bad hair or day or simply add a new twist to your look with this bright pink floppy fedora from Top Shop. 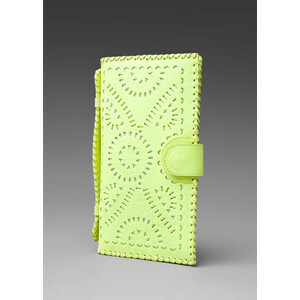 Stash your essentials for a night on the town in this adorable neon yellow clutch available from Revolve Clothing. Look bright in these neon cut-out sandals from American Apparel. 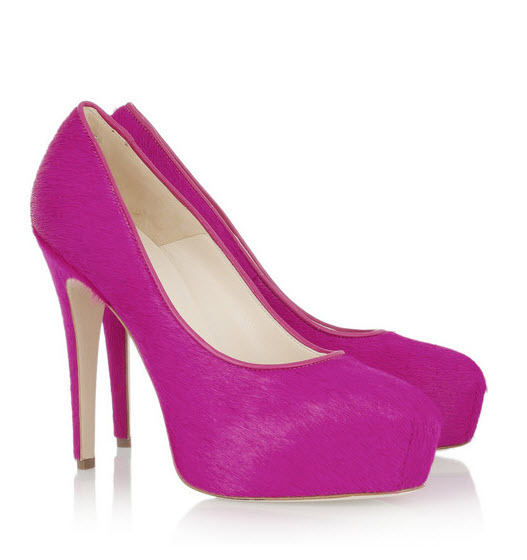 We melt for these Brian Atwood fuschia neon pumps. 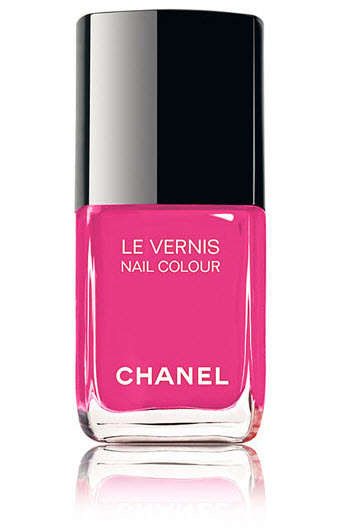 Blue up your nails with this Butter Nail Lacquer in Artful Dodger. 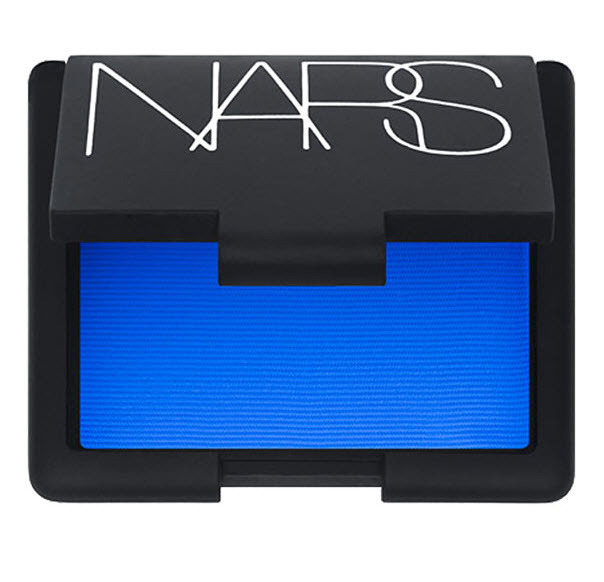 Play up your eyes with this bright blue eyeshadow by Nars. 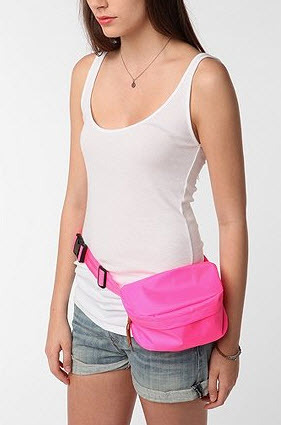 Get in touch with your retro side with this nylon fanny pack from Urban Outfitters. 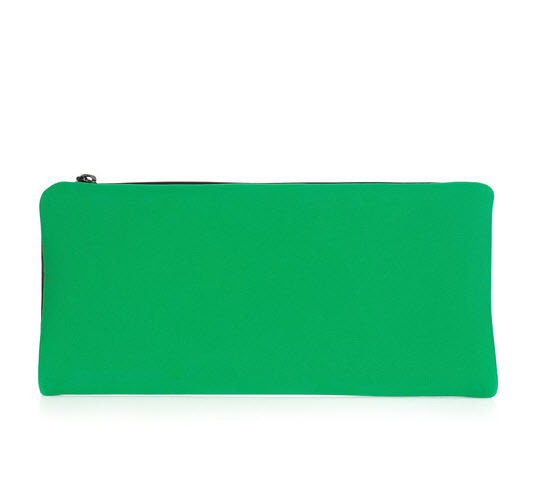 This 3.1 Phillip Lim leather clutch is an eye-catcher. 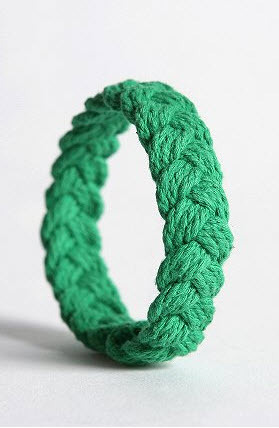 Add a pop of color to your wrist with this sailor knot bracelet from Urban Outfitters. 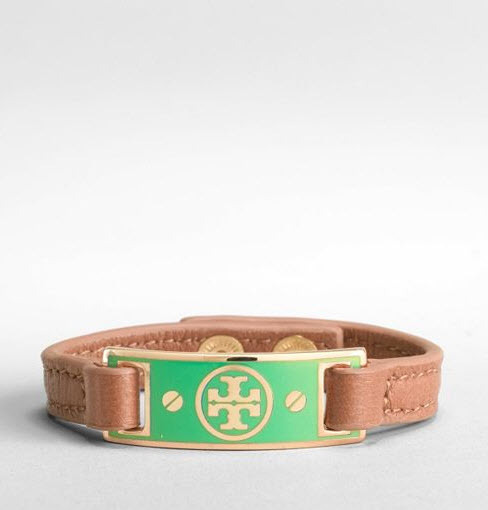 This Tory Burch Enamel i.d. bracelet is definitely arm candy! 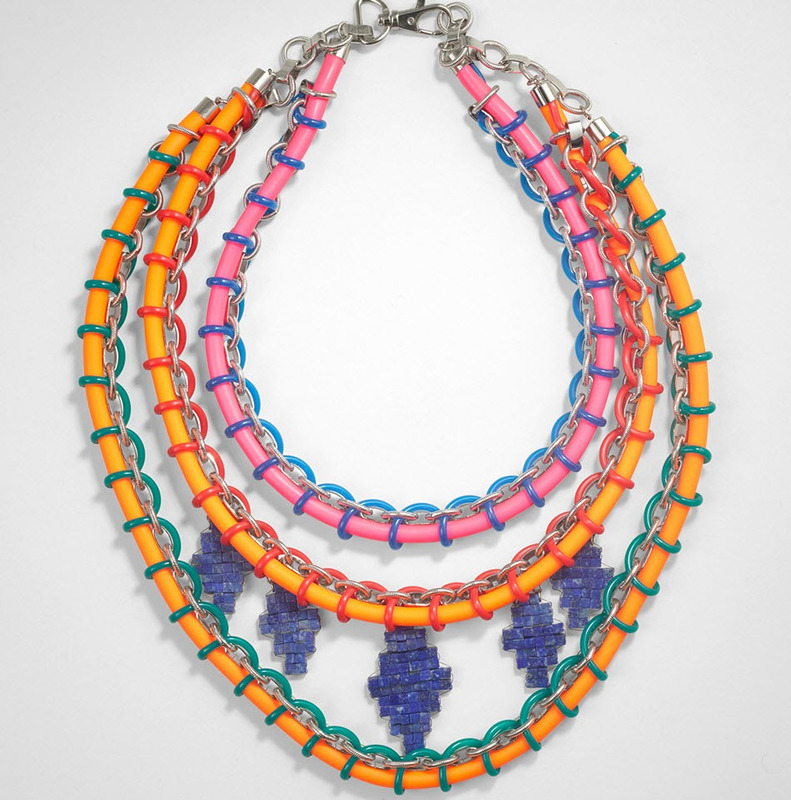 This woven rubber multistrand necklace from Tory Burch definitely makes a statement.